Sydney Shop Girl: Jelena. Other Things. A New Read. Jelena. Other Things. A New Read. The heartwarming news that Jelena are officially back on. That's Justin and Selena for those of you who are still out of the loop. Photos have emerged of the pair spending quality time together doing such things as carrying large cups of soft drink and going for bike rides together while effortlessly dressed in their activewear. I know the cynics among you will be wondering if an album or movie release is on the cards for either. But I'm a Belieber (sorry, couldn't resist) and I know that The Heart Wants What it Wants.. That whole sentence probably actually does more for your argument than it does for mine, to be honest. But it's so clever, if I do say so myself. I've been paying a lot of bills. And it's hurt each and every time I've had to enter my credit card details on the payment page. A hurt I never seem to feel when paying for those online shopping carts I've filled one too many times in recent weeks. We didn't make it to trick or treat for Halloween this year but a colleague kindly brought in the excess spoils from her children's efforts for us to share. So brought home a few bits and bobs for Preschooler SSG to eat as he wore his Harry Potter gown over his pyjamas. I try. A new express commuter train has joined the rail network that is the floor of the lounge area at SSG Manor 2.0 and it's proven a popular travel option with monkeys who need to get to breakfast. The railway is also a rather lovely place to sit and have a read if you're that way inclined in the evening. These are our favourite pages from 'One Fish, Two Fish, Red Fish, Blue Fish'. It's that tricky business of being too long for your bed that makes us both laugh uncontrollably. Bless you, Dr Seuss. 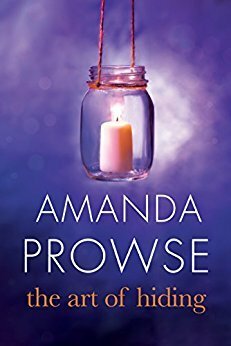 I'm also enjoying 'The Art of Hiding' by Amanda Prowse. This is the first of Prowse's novels that I've read and it definitely won't be my last. Nina McCarrick has shrugged off her working class roots to lead a new and perfect life in a wealthy part of England. She looks the part in her English manor but there's still a sense of the imposter syndrome in her every interaction with the parents of other boys at her sons' exclusive grammar school. But it's a burden she bears with little complaint because of all the other comforts and reassurance that her position now brings. Nina's life crumbles in front of her in the days that pass after the tragic death of her husband Finn. The years of leaving everything beyond the gates of their house to Finn have lead Nina to be tragically ignorant of exactly what the family's financial position is. It turns out that Finn heavily mortgaged the family home to finance a new development that was to turn a huge profit but didn't: leading the bank to call in the debt and take possession of the family home. Where do you stand on Jelena? Read anything by a new (to you) author recently? Life This Week 27/11/2017: Best Birthday(s) Ever. On Almost Being A First Year Of School Mum. Lovin' Life 23/11/2017: A Change In the Weather. Coles' Unicorn Pudding. Other Food News. Life This Week 20/11/2017: Taking Stock. Saturday Reflections. T2 and Lulu... Again. Lovin' Life 16/11/2017: An Unusual Thursday. Jacarandas. Westfield Angst. The Tight Stuff. Life This Week 6/11/2017: A Highlights Reel. Lovin' Life 2/11/2017: The Day Spa Life.